When thinking about back pain, many people immediately think about the lower back, and with good reason. Lower back pain is one of the most common types of back pain. But in the era of texting and nearly non-stop computer use, there is a rising trend in back pain: middle back pain. Thankfully yoga for middle back pain is a safe and easy way to help reduce pain and tension. The thoracic spine consists of the vertebrae that connect the cervical spine to the lumbar spine. It has 12 vertebrae that reach from the bottom of the cervical spine in the neck to about five inches below the shoulder blades. This area holds a tremendous amount of tension and is often ignored in discussions about middle back pain, but pain and stiffness in this area can limit mobility and lead to other problems in the body in the long-term. The following video gives a more in-depth overview of the science of back pain. Here are eight yoga poses for middle back pain to keep your pain at bay and improve strength and flexibility all along the spine. These yoga poses may not be as dynamic as those seen in some magazines, but they were chosen because they’re the easiest and most gentle entry points for both beginning and experienced yogis alike. Always talk to your doctor before attempting these poses to ensure you don’t exacerbate your pain. Also, while these are great beginner’s poses, pull back if you feel any sharp or shooting pains. Yoga for middle back pain shouldn’t hurt, only help, your pain. Puppy pose is often used in yoga classes instead of downward facing dog to take the pressure off wrists and shoulders. It makes for a great yoga for middle back pain pose as it helps engage the muscles in the middle back and deeply integrate the entire shoulder girdle into the body. Start on all fours with toes tucked. Lengthen tailbone back and slightly under to engage the lower belly in support of the lower back, then begin to walk the hands forward, keeping the hips raised above the knees. When you have reached the end of your stretch, exhale and release the chest towards the ground, keeping arms actively reaching out. Press the hands into the floor away from you as you continue to lengthen the tailbone to lengthen the spine. On each exhale, sink the chest a little deeper to the floor. You can rest your forehead or chin on the floor, or use a yoga block if you have one to support your head. Elongate your neck by reaching out through the crown of your head. Breathe here for five to ten breaths, then come out of the pose by slowly walking your hands back to all fours. Shoulder flossing is a great way to feel the movement of the shoulder blades on the back. This yoga for middle back pain pose also helps to strengthen and release the muscles of the shoulders. Begin on all fours with wrists directly beneath shoulders and knees beneath hips. Lengthen your tailbone down and slightly under to engage the low belly as your reach forward with the crown of your head to lengthen your spine. Inhale and push the floor away from you, feeling your shoulder blades separate and slide off the back as your middle and upper back arches. Exhale and bring the shoulder blades back together on your back as your chest releases towards the floor. Keep your hips steady as you work in the mid- and upper back area only. This twist in the upper back helps to increase flexibility and openness in the middle back. Sometimes tight muscles causing middle back pain will release with this simple movement. Start on hands and knees. Inhale to lift your right arm up and open above you (chest will open to the right). Exhale and bring that right arm underneath your body to “thread the needle,” bringing your right cheek and shoulder to rest on the ground. Hips stay high, tailbone lengthening down and slightly under to engage the low belly. If you would like more of a twist, press into your left hand or extend your left hand out. Breathe here for five or ten breaths, and then inhale to bring your right arm up and open again before replacing it on the floor. Repeat on the other side. Yoga Basics gives a good overview of how to do this pose safely. Cat-cow moves the entire spine to bring mobility and flexibility from the sacrum to the very top of the cervical spine. It’s one of the best yoga poses for middle back pain, as well as pain in the lower and upper back. Begin on all fours, wrists beneath shoulders and knees beneath hips. Lengthen the tailbone down and slightly forward to engage the low belly while the crown of the head reaches forward to lengthen the spine. Inhale and drop your belly towards the floor as your tailbone lifts, shoulder blades slide together on the back, heart reaches forwards between your arms, and your gaze lifts. Exhale, tucking the tailbone under and pushing the floor away to arch your back like a cat, chin tucked to chest. Repeat this slowly five more times, following the breath. Everyday Health provides some more recommendations for the cat-cow pose. Cobra pose actively engages and strengthens the muscles all along the thoracic spine and can be a great way to prevent mid back pain. Lie on your stomach, hands placed beneath shoulders. Lift the left leg and spin it so that the inseam of the upper leg reaches towards the sky. Point the toes and reach out as you place that leg back down. Repeat with the left leg. Lengthen the tailbone down towards the heels but do not clench or over-engage the buttocks. Inhale and roll both shoulders up and back to move the shoulder blades on the back. This action may lift the chest off the ground. The lift can be very slight to begin. Make sure that it is your upper back doing the work and there is no compression in the lower back. Keep your gaze down, just past the front edge of your mat to keep your cervical spine long and relaxed. For more of a challenge, float your hands off the mat. Think about drawing your elbows toward the sky and back to your heels to engage your mid-back. Breathe here for five to ten breaths, then gently lower down and rest. Sphinx pose offers the same benefits as cobra pose in a slightly less taxing way. Engage and position the legs as before. Instead of lifting up with your hands, place your forearms down on the floor, fingers spread wide and facing forward, elbows directly below shoulders. Think about lengthening up through the crown, lifting the dome of the upper palate, and stretching out along the length of your legs as your upper back gently presses your chest forward through your arms. Use the strength of your forearms to gently push the floor (or the mat if you are using one) to feel the chest reaching forward even more. Breathe in this yoga for middle back pain pose for five to ten breaths, then gently lower down and rest. Staff pose can help you feel the strength of your middle and upper back supporting your entire body. It helps you relearn how to sit with correct posture. Sit on the floor with your legs extended out in front of you, feet flexed with toes pointing towards the sky. Rotate your upper inner thighs in and back towards the floor or the mat. This supports a widening across your lower back and allows your tailbone to lengthen down into that space and engage your low belly. Inhale your shoulders up and back to move your shoulder blades onto the back. Imagine that the bottom of your shoulder blades are moving in and up to support the back of your heart, lifting your heart and opening your chest. Bring your hands down to your sides, touching the ground. Glide your chin back slightly so that it is in line with your shoulders. Breathe in this yoga for middle back pain pose for five to ten breaths, then release. This yoga for middle back pain pose builds strength and flexibility and can help prevent mid back pain. Yoga Journal gives an in-depth explanation for nailing this pose. Lie on your stomach, forehead on the floor and hands clasped together behind your back. Reach back through your legs (as you did with cobra and sphinx) and click all ten toenails onto the floor or mat. Inhale and roll your shoulders up and back to move your shoulder blades together onto the back. Allow this action to lift your upper body off of the mat. Gaze gently forward if that feels okay for your neck. Otherwise, let your eyes rest a few inches from your mat. Keep your shoulder blades engaged and lifting to breathe here for three breaths, then lower down and rest. Yoga for middle back pain can be a great way to prevent and treat pain. However, some people need more help on their journey towards less pain. In these cases, talking to a certified pain doctor can help. Click the button below to find one in your area. I would have liked to have seen pictures of the positions to assure of tge correct position in doing these. Thanks for your feedback Johnna! We’ll keep that in mind for future posts. As you’ll see here, many of these include links to websites that show more detailed information about mechanics and such. Hope this helps! My back pain is killing me! I am starting to do Yoga for body and mind wellness. I know that our body gets so much from doing different yoga pose. We’re so glad you’re finding some relief from yoga! Hi due to other conditions I cannot do ANY of the yoga positions for middle back pain help. Any suggestions ? I cannot kneel, sit on the floor, sit with legs extended, raise arms, stretch arms, or lay flat on stomach. My best positions are flat on back in bed, side in bed, sitting on a chair. I cannot raise legs, or flex knees. YES doctors have neglected me for YEARS ! Decades ! Hi Deb — We are so sorry to hear about the challenges you’ve been having. First off, we recommend talking a certified pain specialist who can help you diagnose the cause of your pain. 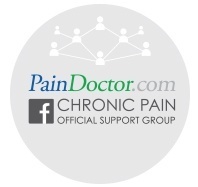 Once you’ve been cleared for exercise, you can try some of the ones we list here for gentle exercises you can do in bed: https://paindoctor.com/15-exercises-pain-patients-can-do-in-bed/. Hope that helps! Hi , I have pain at right hip joint . I am 48years and I drive car for 3hours daily . Hi Paul — If the options here don’t work, we recommend finding a local yoga studio that specializes in chronic conditions. They can advise on poses that help with your pain.